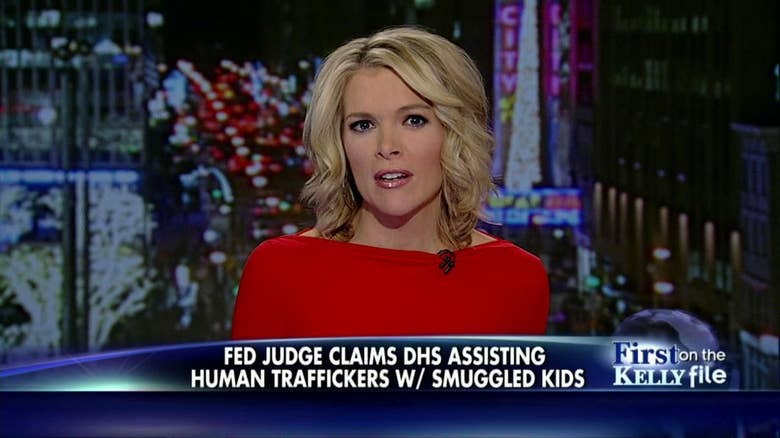 In a story reported first on The Kelly File Thursday night and on FoxNews.com, a federal judge in Texas is accusing the Department of Homeland Security of helping deliver smuggled children to their illegal immigrant parents in the United States. In a scathing order filed last week, U.S. District Judge Andrew S. Hanen slammed the Obama administration for assisting a “criminal conspiracy,” rather than enforcing border security laws. Hanen said the “dangerous” practice is effectively aiding human traffickers and particularly the Mexican drug cartels, which run many of these operations. “These actions are both dangerous and unconscionable,” he wrote. Hanen said parents who’ve crossed into the U.S. illegally have been paying drug cartels to smuggle their kids across the border so they can be reunited. He accused DHS of playing “Russian roulette,” writing that this is placing children in extreme danger and encouraging more smuggling attempts. When the smugglers are caught, Hanen claims that the government is then bringing the children to their parents in the U.S..
Megyn Kelly discussed the startling claims with filmmaker Dennis Michael Lynch, whose documentaries have exposed border security problems. He explained when a child makes it across, they’re sometimes taken to places where “bad things are going on” and in some cases, the children are held until the parent pays even more money to the smugglers.